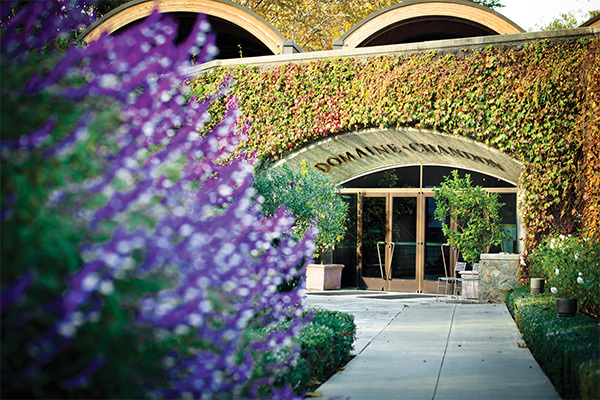 2018 marks the 45th anniversary of Domaine Chandon, the first Frenchowned sparkling winery in California. Today, with estate vineyards in Mt. 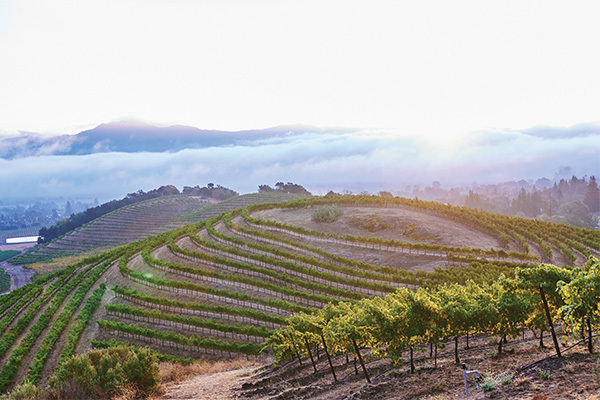 Veeder, Yountville, and Los Carneros, Chandon produces an impressive range of California sparkling and still wines. 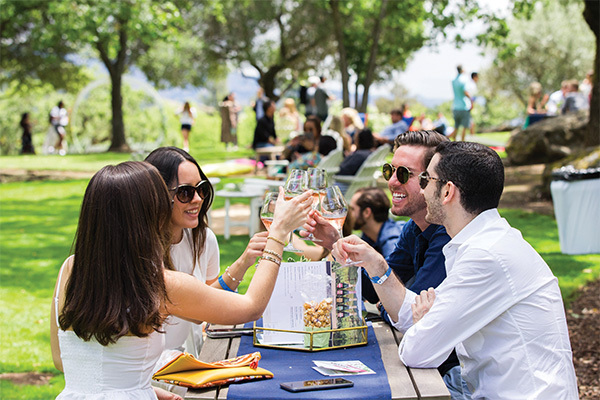 Set in the spectacular Chandon Hills surrounded by vineyards, Domaine Chandon offers visitors one of Napa Valley’s most beautiful settings to taste and learn about wine. The Visitor Center’s commanding architecture was inspired by the curved lines of a wine tank, and its lushly landscaped grounds offer fantastic views. Visitors have an excellent variety of entertaining tastings and tours to choose from. In the tasting room, tasting flights and wines by the glass and bottle are offered, along with a menu of small bites. Many guests start here with a casual tasting and continue their visit with more wine, food, and exploration. One intriguing option is to reserve a spot in a semi-private hosted tasting, covering a range of topics from wine quality to the heritage of Domaine Chandon. Or, guests can sign up for a hands-on opportunity like Cocktails 101, a lesson in “sparkling” mixology. On Fridays through Sundays, savvy guests arrive hungry, because a delicious lunch menu is featured in the lounge.